Thunder Bay 's Mama Alfa's Pizzeria - Real Italian Cooking !
" M a m a A l f a ' s "
" This IS Italian Cooking ! " Pasta Shells - stuffed with veal, chicken, cheese and covered with Alfa's famous sauce. Tender boneless chicken breast smoothered in Alfa's famous ragu sauce and cheese and baked to perfection. Breaded Tender veal topped with Alfa's home made sauce. parmesan and mozzarella cheeses, oven baked. Smothered in Alfa's famous homemade sauce. A combination of pancetta, garlic, onions, and creams. NOTE; All pasta dishes are available Wednesday throguh Saturday. 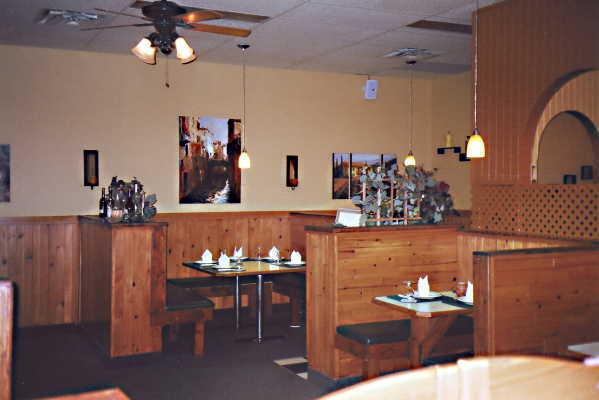 Come in and enjoy our cozy atmosphere. Live music some Fridays and Saturdays.